ANGOLA, La. 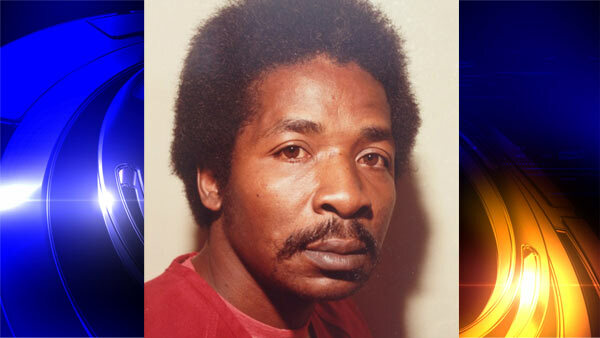 - After 30 years behind bars -- most of them on death row -- a Louisiana man, Glenn Ford, walked free Tuesday night from the maximum security prison at Angola. Earlier in the day, a Louisiana District Court judge vacated Ford's murder conviction and death sentence and ordered his release. Ford, 64, had been on death row for the 1983 murder of Isadore Rozeman, a Shreveport jeweler and watchmaker for whom he did occasional yard work. He always maintained his innocence. "My mind's going all different kinds of directions, but it feels good," Ford said moments after taking his first steps outside the Angola prison. He told CBS affiliate WAFB-TV he does harbor some resentment for being wrongly imprisoned. "I've been locked up almost 30 years for something I didn't do," Ford said. "I can't go back and do anything I should have been doing when I was 35, 38, 40, stuff like that," he added. The state's motion to vacate Ford's conviction was based on new information that corroborated his claim that he was not present or involved in the crime. Prosecutors would not detail the new evidence, saying it could jeopardize their future case against the actual killer, reports WAFB. Rozeman, 56, was found shot to death behind the counter of his shop on Nov. 5, 1983. Reports say no murder weapon was ever found and there were no eyewitnesses to the crime. There were many troubling flaws in the case, as The Atlantic has reported in detail. Ford was initially implicated in Rozeman's killing by a woman named Marvella Brown who later testified she had lied. Brown was the girlfriend of a man named Jake Robinson, whom Ford had identified as a suspect in the murder in the early stages of the investigation. Robinson's brother, Henry, was also implicated by Ford. The two were charged, but later had those charges dismissed. Ford's original court-appointed lawyers had never tried a murder case, and he was convicted in 1984 by an all-white jury who then went on to recommend a sentence of death. When his conviction was finally vacated after 30 years, the news was welcomed by the family of the murder victim. "This is a positive reflection on the criminal justice system," Phillip Rozeman, Isadore Rozeman's nephew said of Ford's impending release, reports the Shreveport Times. "We don't have animosity for anyone. If someone else was involved or others were involved in his death there also will be justice for those people." For years, Ford's attorneys had argued Ford was wrongfully convicted after a trial in which he had inexperienced counsel and information was wrongfully suppressed. By 2013, prosecutors notified the defense that "a confidential informant for the Caddo Parish Sheriff's Office stated that Jake Robinson told him that he, not Mr. Ford, shot and killed Isadore Rozeman," Ford's lawyers contend, according to the Shreveport Times. Ford is one of the longest-serving death row inmates in modern American history to be exonerated and released, the Atlantic reports. Under Louisiana law, those who have served time but are later exonerated are entitled to receive compensation. The law calls for payments of $25,000 per year of wrongful incarceration up to a maximum of $250,000, plus another $80,000 for loss of "life opportunities."